At Daughter for Hire, we are providing the highest level of care and attention, much like a daughter or family member would. We understand that many seniors would like to stay in their own homes and need some help with day to day activities. An in home approach allows the senior to remain in the comfort of their own home, while the family is assured that their loved one is being taken care of while family members are working, living out of the area, or otherwise unavailable. Though many of our clients begin their relationship with Daughter for Hire with just one or two services, our calling card is our willingness to warmly go above and beyond to meet the needs of our clientele. Our caregivers are able to assist our clients in a way that increases the senior's comfort and safety, while providing socialization and a better quality of life. We give you peace of mind. We pride ourselves on being there when needed, filling in the gaps when you need help, and being the warm, caring people that you'd trust to be with you or your loved one. We're different. It's not a job, it truly is a calling. "Recently, my father made the decision to give up driving. While the decision is life changing for an active person like my father, it has also been a challenge for me. It is my goal to keep my father happy, active and involved in the community. With the assistance of "Daughter for Hire", I have been able to continue working while having the peace of mind knowing that dad is able to continue with some of his favorite activities, and that he and others are safe." "Professional and accommodating, Daughter for Hire understands our residents' dementia and Alzheimer's and acts accordingly to ensure safe and comfortable accompaniment to medical appointments. Daughter for Hire is patient with our residents and provides reliable service. I would recommend to others. Daughter for Hire has gone above and beyond to help me in a last minute pinch to ensure assistance to our residents with their medical appointments. When others could not be there for us, Daughter for Hire was. A truly needed service for a truly reasonable price with truly caring people." "My prayers were answered when I came across your business card. The name Daughter for Hire is spot on. I've used other agencies before, but a Daughter for Hire "daughter" is something different. They are the closest thing to family and a dream come true for an 81 year old!" "Our family felt "trust" that Mom would be well cared for with reliable and warm caregivers, especially since the majority of our family siblings do not live locally." "For almost two years we have benefited from the care and services that Daughter for Hire provides. Kathleen Rutishauser and her compassionate team helped in so many ways. In the beginning we had small needs and as time went on, Kathleen and her staff made it possible for us to stay at home and live life to the fullest. For this we will always be grateful to this amazing team of women." 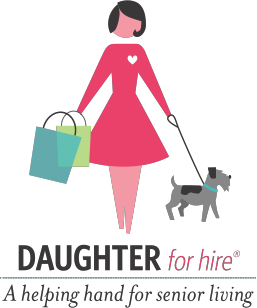 "Daughter for Hire has helped me in so many ways. I do not have to lose time from work and still have the peace of mind that someone is taking my mother to her appointments. Our caregiver lets me know how mom did during the visit which helps to relieve my stress. Thank you Daughter for Hire!" "I live in Florida and my Mom is from Sauquoit, NY. She has Alzheimer's Disease and nearly two years ago she went to live in the Memory Care Unit at Clare Bridge of Clinton. I am not able to fly up to NY each time my Mom has to go out for a medical appointment so I rely on Kathleen or one of her caregivers to take Mom. Kathleen is a very friendly and delightful woman. Sometimes Mom is afraid of people she doesn't know, but Kathleen seems to be able to make her relaxed and her trip out goes well. Kathleen always also reports to me about how the doctor visit went and any new meds, suggestions or any relevant information I need to know. When my Mom needed surgery a year ago I was able to come up for a few days prior to and after the surgery, but Kathleen was very helpful in coordinating all the pre-surgery appointments. She is very professional and I would recommend her in working with the elderly." 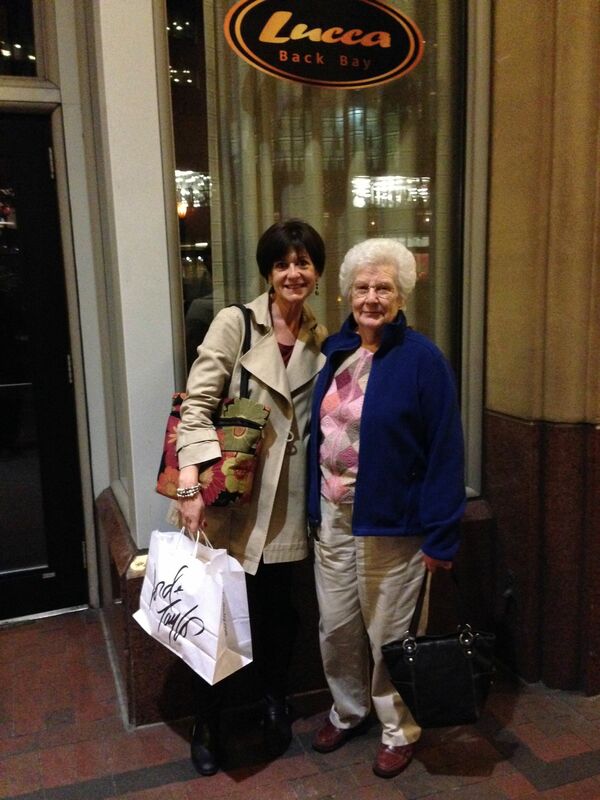 "Daughter For Hire has been great for me because I live 1200 miles away, and cannot help my aunt. Just keep doing what you do." "You came to our family when we needed you the most to help care for our mom when she left rehab and couldn't be home by herself. With no planning ahead on our part, you quickly came to meet with us on short notice, set our minds at ease and we trusted you the minute we met you. We felt confident and safe to give you the key to our mom's home. Once mom was under your care, you kept in close contact with us during the day, helped coordinate VNA services, and ran errands that we didn't have time to do. You anticipated our needs even before we did. When mom was permanently placed in a nursing home, on your own time you came to visit her, and on her final journey to heaven you were there for us once again in friendship. You anticipated our needs even before we did. When mom was permanently placed in a nursing home, on your own time you came to visit her, and on her final journey to heaven you were there for us once again in friendship." "We knew as soon as we had our consultation that Daughter for Hire was different. My mother in law lives alone in the Capital District and we live in Seattle. Living so many miles away, we were living on the edge, not knowing if she was ok. The Companion Care Service Director met with all of us and set our minds at ease. She set up a daily schedule to make sure that my mother in law had good meals every day, medication reminders and assistance with her medical appointments. My mother in law loves the caregiver and the caregiver updates us daily by e-mail, so that we always know how our family member is doing. Daughter for Hire has been a godsend to us!" Content Powered By tSpark CMS.